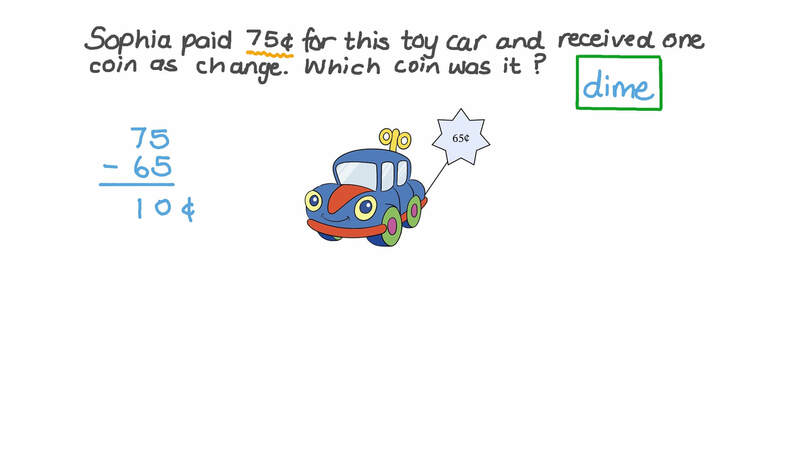 In this lesson, we will learn how to calculate the amount of change to give when spending up to 100 cents and to make that amount using different types of coins. 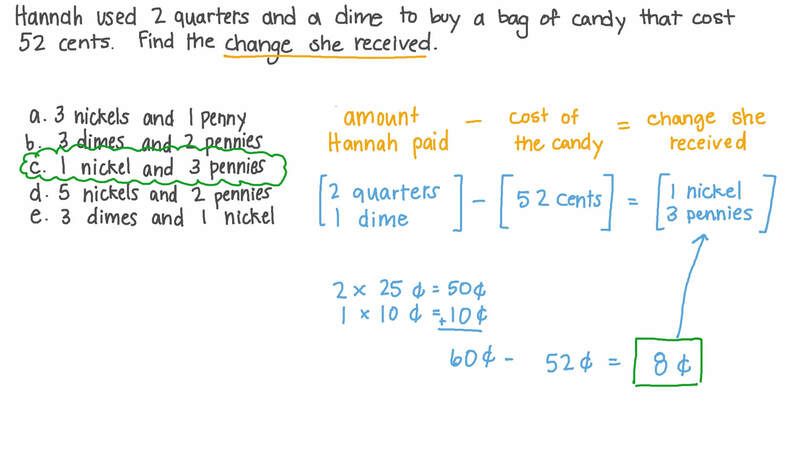 Rania used 2 quarters and a dime to buy a bag of candy that cost 52 cents. Find the change that she received. Amira paid 75¢ for this toy car and received one coin as change. Which coin was it?